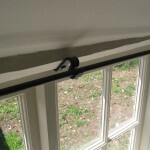 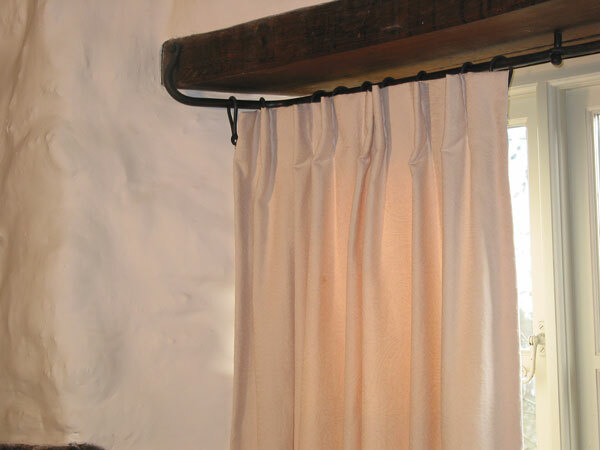 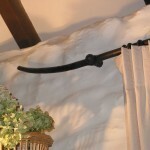 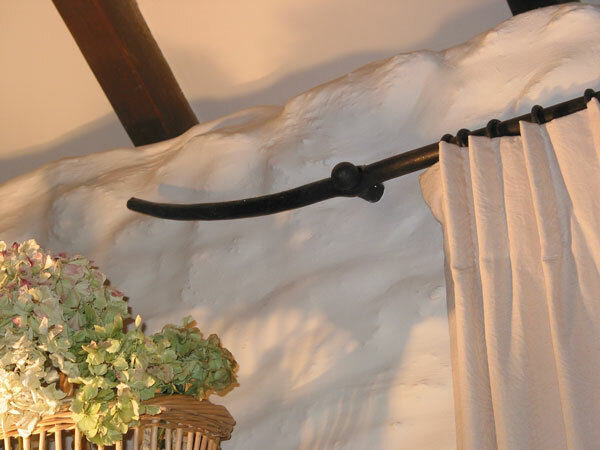 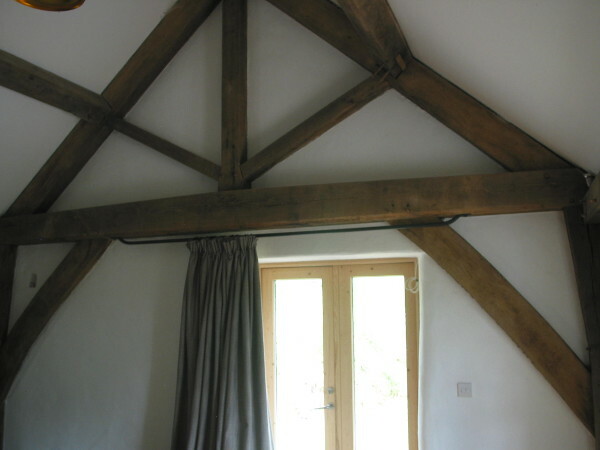 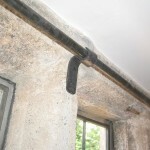 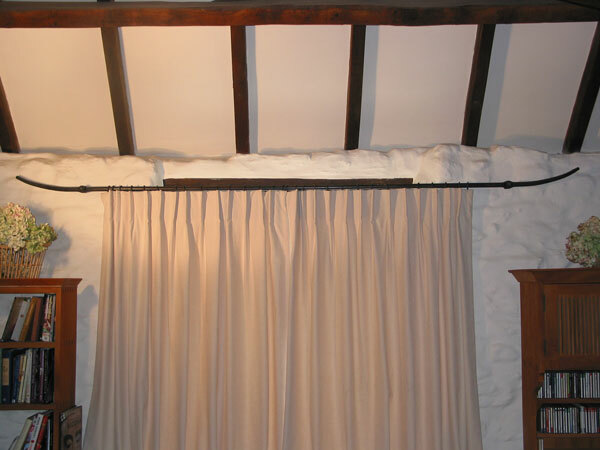 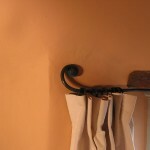 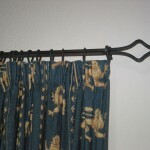 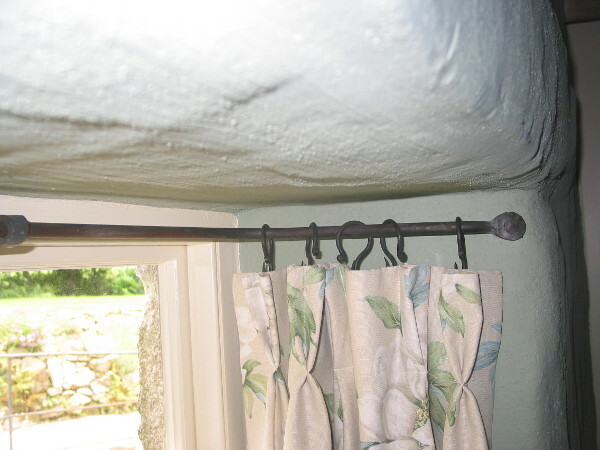 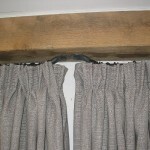 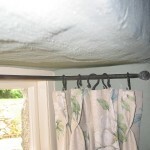 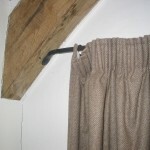 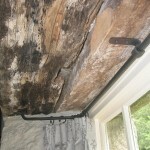 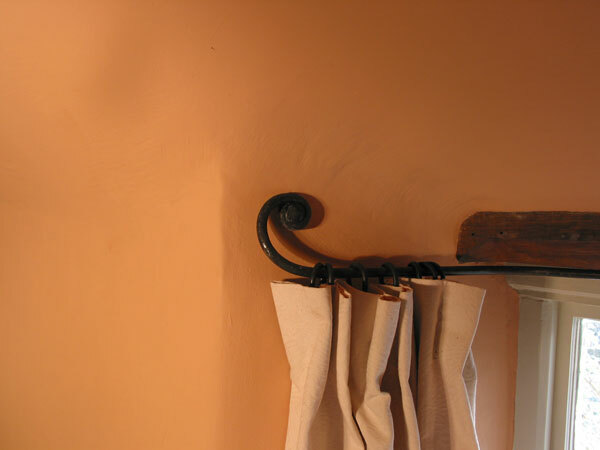 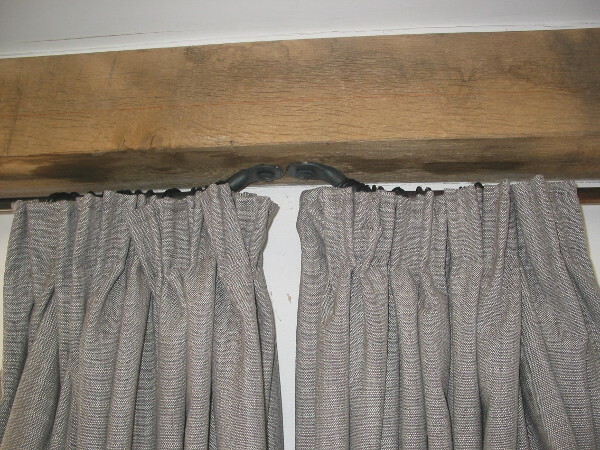 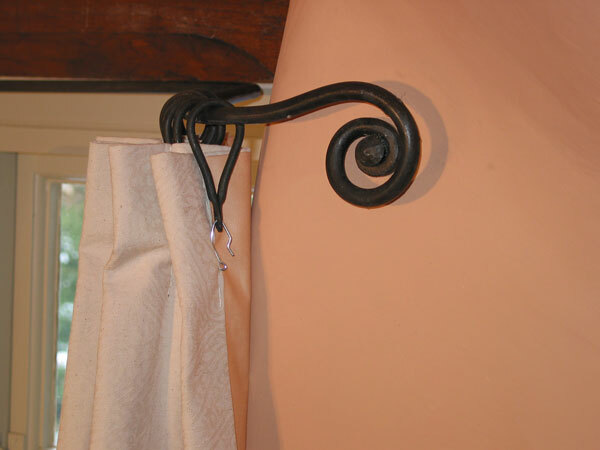 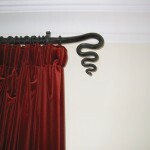 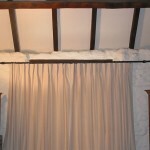 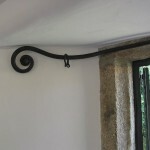 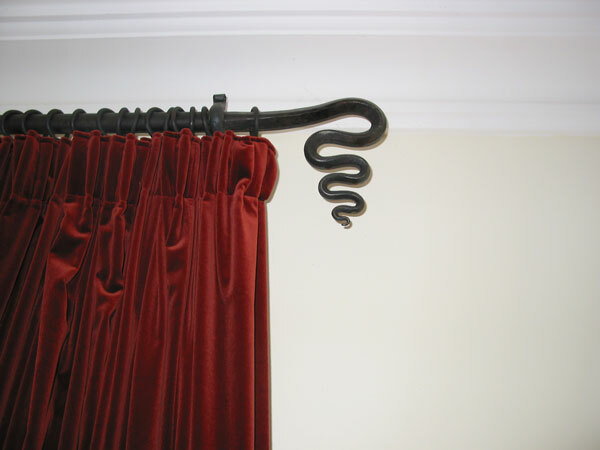 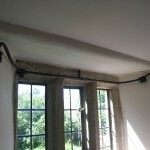 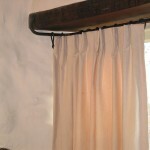 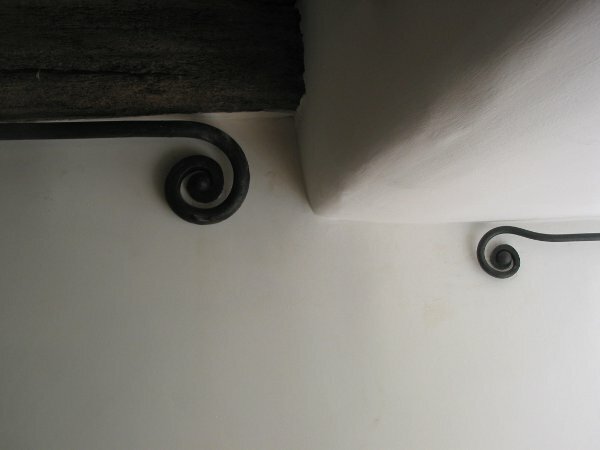 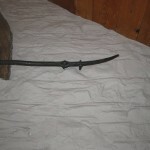 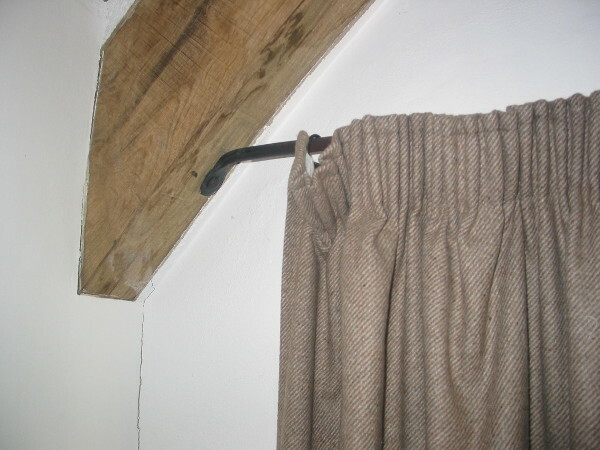 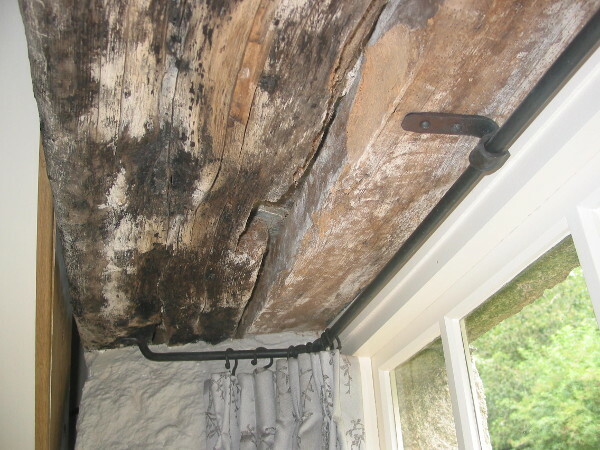 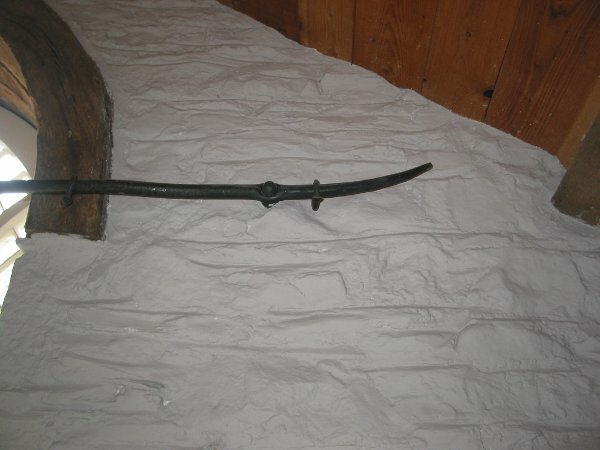 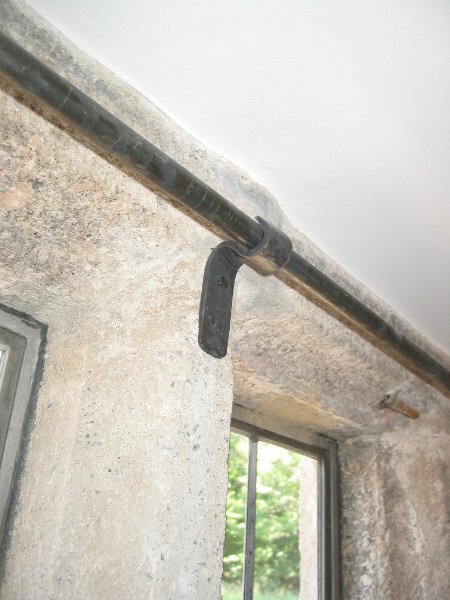 As mentioned in the introduction to the services section, while the hanging of curtains is, indeed, sometimes a case of screwing two brackets into the wall and plonking a pole on top, quite often there is more to it. 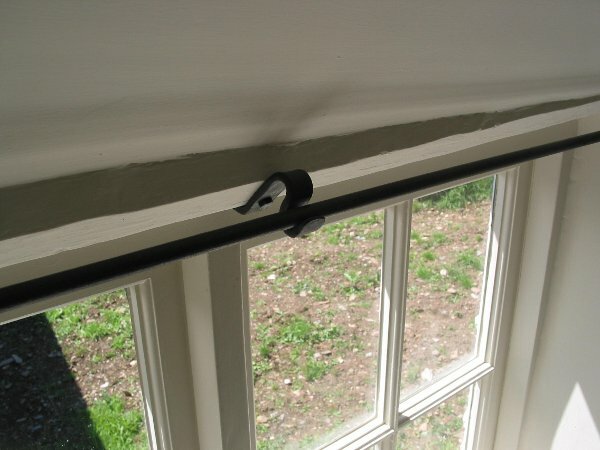 One operation that I am frequently asked to undertake is the supply and installation of custom made poles to fit within window embrasures. 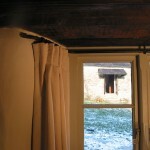 In older buildings with thick walls the curtaining off of a window along the line of the inside of the wall – or just along the inside face of the window – is not always ideal and a number of benefits are to be won by running the curtain pole into the embrasure and along the inner face of the window, as in the illustrations below. 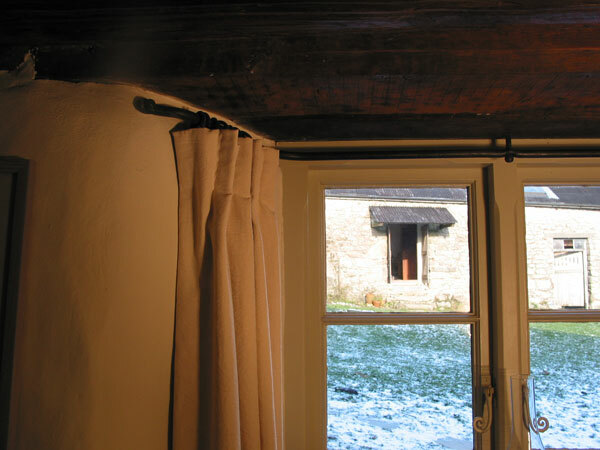 This system yields a net gain in usable space in the room, as well as providing a greater feeling of space; any objects that live on the window sill remain in the room when the curtains are drawn; lighter curtain material can be used, as the drop is necessarily shorter and less light is blocked when the curtains are open than if the pole merely ran straight along the inside face of the window. 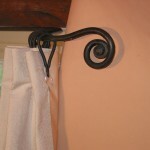 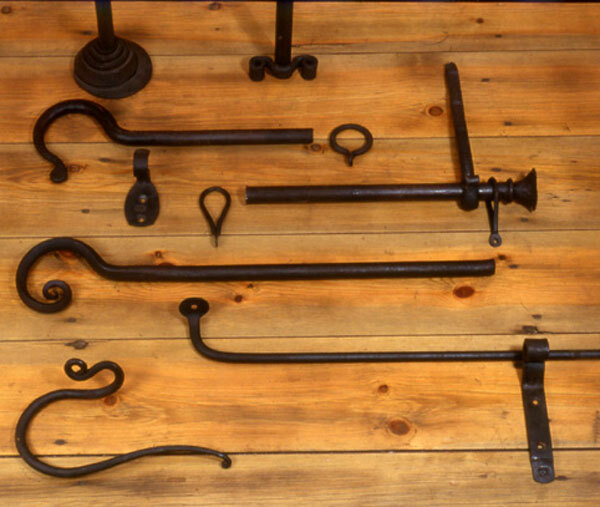 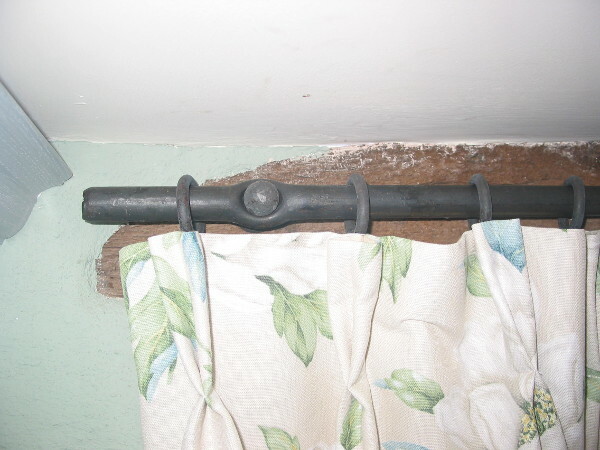 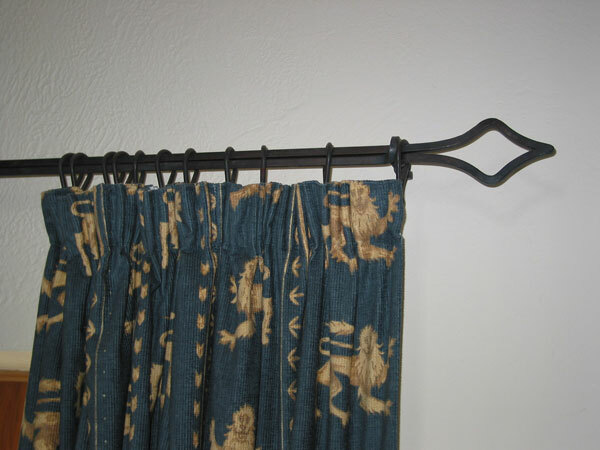 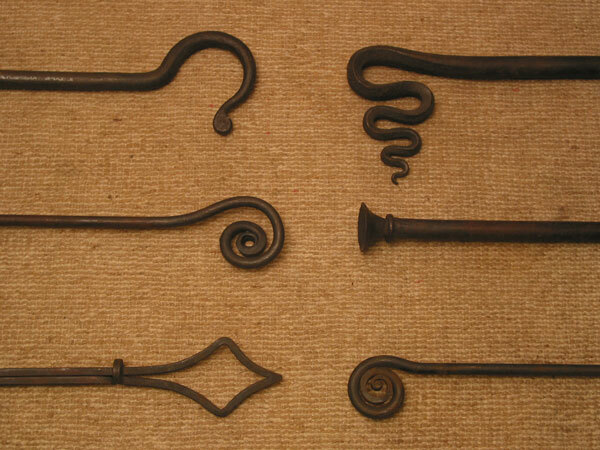 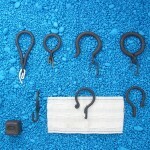 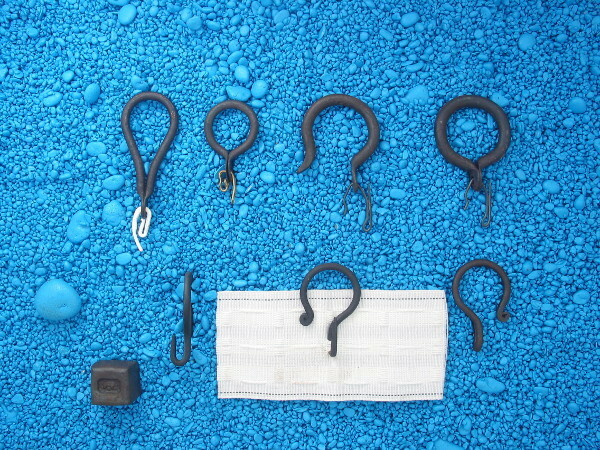 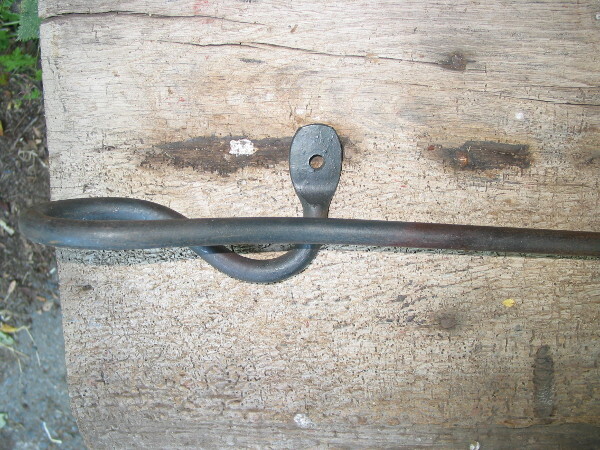 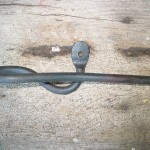 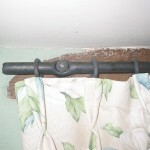 I make conventional forged curtain rings, as illustrated in the top row of the image below, but because poles in embrasures tend not to be easily removable I also offer two designs of open curtain ring that can be retrofitted ; one of these (third from top left in the image below) attaches to the curtain by means of a conventional curtain hook (see also image no 3 above) while the other attaches straight to the band at the top of the curtain without the need for the curtain hooks at all (image no 7 and the various views of the open rings in the lower row of the image below). 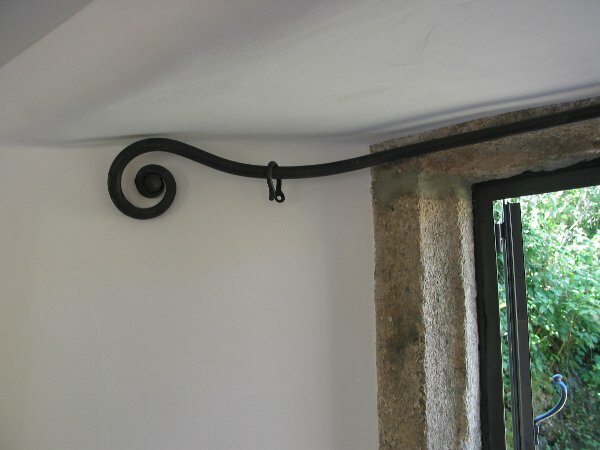 The shapes of embrasures vary widely and so accurate and considered measurement is necessary. 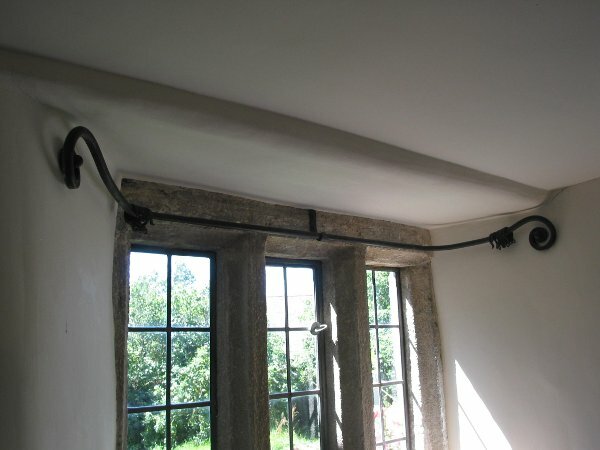 I can work to templates or measurements provided by the customer, for instance where distance is a problem, but my favoured procedure has got to be that I measure up myself and, where possible, fit the poles myself as well – or at least deliver the finished articles to site personally and check for fit. 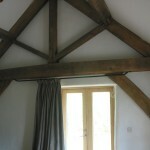 I also design, make and fit poles etc. 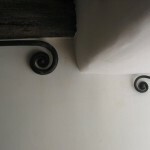 for the more straightforward situations….. 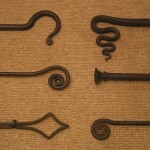 Some finials, brackets, tiebacks, rings etc. 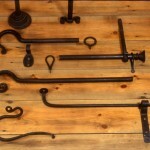 I will be pleased to help you with your requirements in this area.